Fluid London blog - musings from the bar and the restaurant table: That's Showbiz Relief ! For many, in post-recession (fingers crossed) Britain, the frugal fit of the words ‘charity’ and ‘begins at home’ probably have a jigsaw-like connection. In fact, such a musing could hold more weight than a British Navy Warship, what with those nautical stalwarts receding in number quicker than a middle-aged male’s hairline. Contrary to such negative portrayals, London loves and London gives. 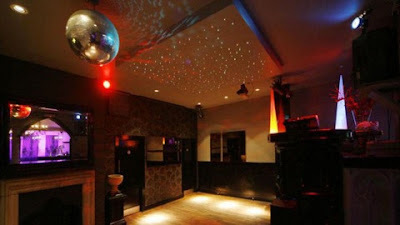 It was evident in abundance recently as west London showcase outfit, Formidable Fusion, served up a smouldering smorgasbord of altruism in the homely and serene Chapel Bar in Islington. Dedicated to the victims of the recent floods in Pakistan, this was a banquet of music, poetry and drama. Within a chilled, burgundy coloured nook of Chapel Bar, this delicious dish of a display had a few integral ingredients in its recipe. How to cook a Formidable Fusion Stew is as follows; add four juicy cutlets of spiritual singing and poetry from Natasha Penumuch (pictured above), followed by two tablespoons of mellifluous seasoning of Natasha Awuku’s beautiful vocals and rustic acoustic guitar, add raw spice with Usha Penumuchi’s motivational speech, and dollop it with generous lashings of the sublime soulful vocal talents of Mide Ogun and guitarist Charles Shittu. Though the likes of rapper Mishael Lazarus and poet Faheed Chaudary didn’t quite make it into the main course, their lyrical lay downs were hearty h’ordeuvres. I regret this food analogy now as its making me ravenous, I probably shouldn’t have typed on an empty stomach. 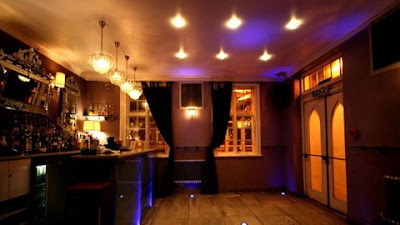 Likewise this event left me hungry to witness more intimate evenings that ‘The Fusion’ regularly have over in North London. The embracing nature of the night, the soothing simplicity of the venue and the fact that payment at the door goes to a good cause, meant it was all worthwhile. Charity certainly does not begin at home. 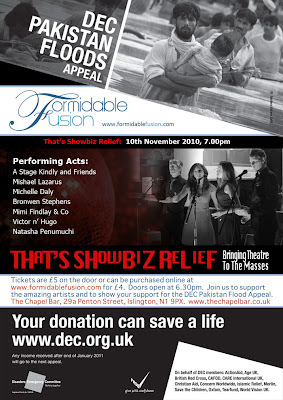 Check out upcoming Formidable Fusion events happening at Chapel Bar via www.formidablefusion.com. Formidable Fusion bring you a night of dazzling musical theatre acts: fusion opera to typical 'West End Wendy' songs to Les Miserable and Grease to tunes from the urban streets. Buy tickets for this eclectic cabaret show that is gonna get your toes tapping, hands clapping and all that jazz by following this link. It’s all for charity, remember.